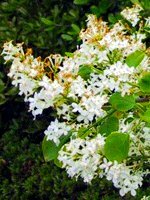 Hedge Rose is a long-lived, fast-growing shrub. 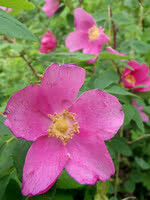 It bears similar flowers to the Alberta Wild Rose. Birds will love its deep red rose hips. Hedge Rose will thrive in a wide variety of soils and is a tall rose forming a useful hedge. 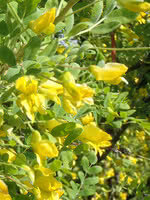 Excellent for shelterbelts, ecobuffers, and wildlife habitat plantings. Continuous flowering makes it attractive to pollinators. Many song and game birds utilize this tree for food and habitat. 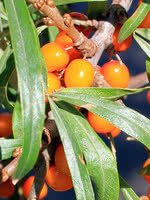 In use since the early 1900s, this hybrid was originally developed at the PFRA's Indian Head Agroforestry Center. Greenhouse grown from seed. Sorted for height and form. True to type and vigorous.